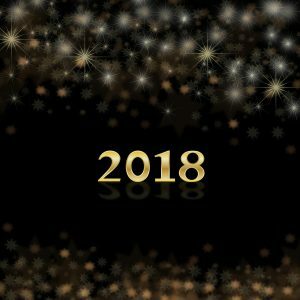 Is 2018 a place of new beginnings? Can we really achieve such a change in us this year? Most people like to make “new year’s resolutions” at the beginning of the year. Most of them never get fulfilled, either due to lack of interest in a few weeks or making a goal too big to even imagine them being fulfilled. New beginnings are possible. In the Word of God, Paul tells us that as we accept Jesus Christ as our Savior, our lives are changed. A new person emerges from the ashes of our old life. What a great “new beginning” that is. To be able to be changed from a lost and dying person to a new and eternal child of God is such a wonderful gift. Paul could indeed say this as he was a perfect example of the truth of salvation’s work in his life. He had been persecuting and killing Christians all in the name of God. He met Jesus on the road to Damascus and had a life-changing experience. He became a man sold out to Jesus, who wrote much of the New Testament and who died a martyr for Jesus. We can truly have new beginnings every day with the Lord Jesus. Each day is written in the future and anything that can be touched with our 5 senses can be changed. Our attitudes, lifestyle, health, dreams and hopes can all be renewed and changed as we submit them to the Lord. He is able to help us become more like him. Let us choose to be changed this year. Choose to accept new beginnings with a knowledge that God wants the best for us, and will work in our lives those things that please Him and bless us. The Lord showed me how he will create new beginnings in our lives. If you have ever watched “Texas Flip & Move” tv show, you know they buy old house and repair them and then sell them. The analogy the Lord gave me from this show is the fact that they will take the house they bought and strip it to the firmest foundation found. Even if it means back to the studs with no walls standing. The Lord wants us to allow Him to be free to “go back to the studs” if need be in areas in our lives. They rebuild into a place of beauty in His sight. We all have areas that have worn and torn structure. Maybe fear has taken hold where courage used to be. Perhaps sickness and ill health have burrowed into parts of our bodies. What ever areas need repairs, He will rebuild and “new beginning” if we allow Him to. It may mean some pain and discomfort on our part if we have to face those fears, change our eating habits, stop being selfish and “me” motivated. If we are willing, we will see wonderful changes in our lives this year. It is a year of restoration.